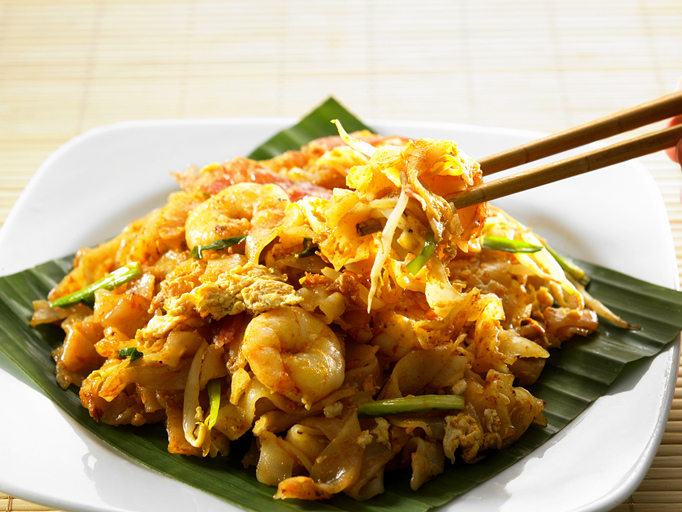 Malaysia is known to many as a food lover’s paradise. With its delicious local cuisine which is influenced by its fusion of cultures. 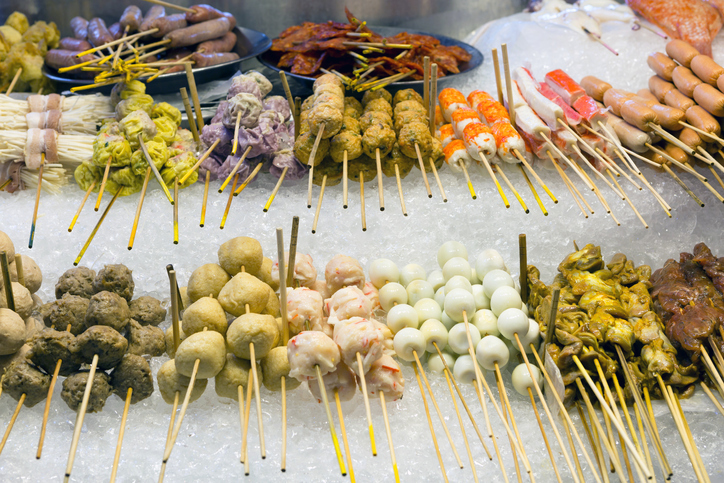 One of the most wonderful parts of this is the famous Malaysian street food. 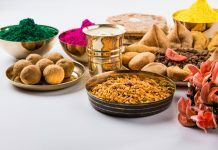 The country is full of colourful stalls selling a variety of dishes, often inspired by Chinese, Thai and Indian cuisine. From nasi lemak to ais kacang, here are some of the best Malaysian street food dishes to try. 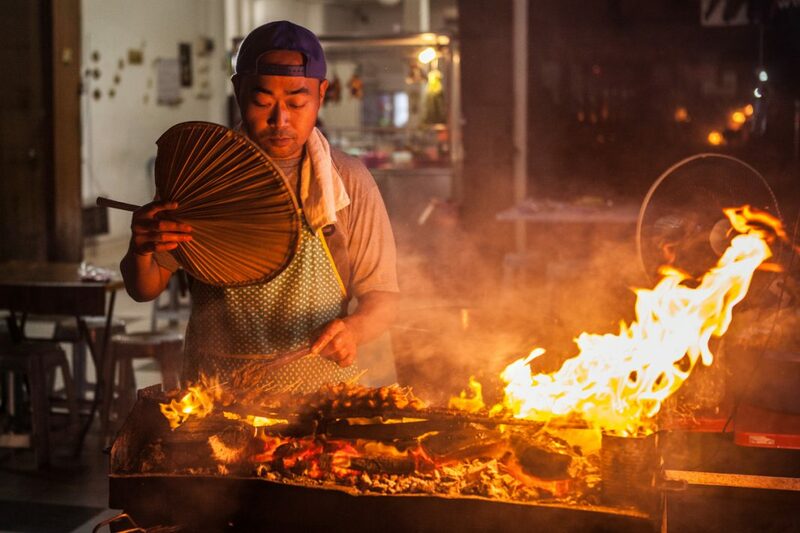 This popular Malaysian street food has become a cultural icon. 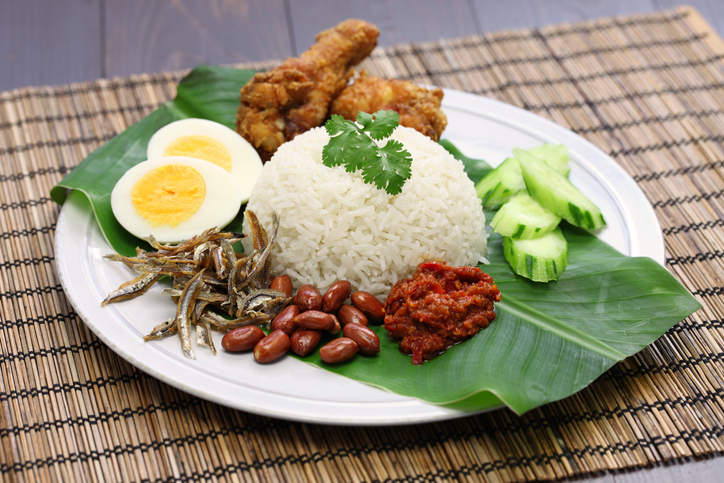 A rice breakfast dish it consists of rice, cooked in coconut milk, served with boiled eggs, cucumbers, peanuts and fried anchovies in shrimp paste and chilli sauce, along with sweet-spicy sambal. Laksa is a popular Malaysian dish that consists of rice noodles cooked in a spicy broth. 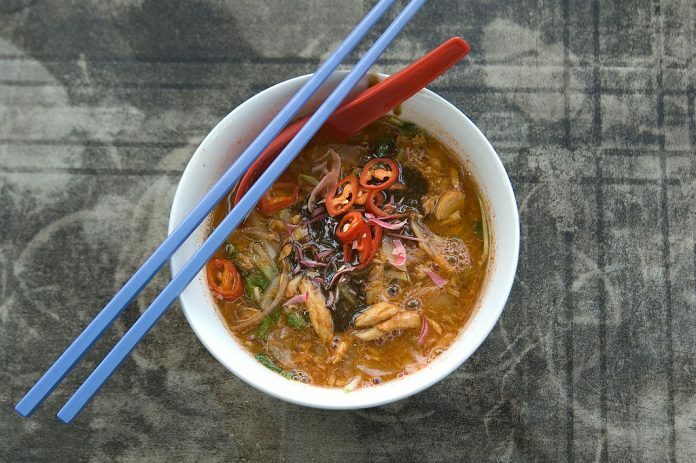 In Penang, you will find Assam Laksa which has a sour tamarind broth and shrimp paste peppered with mackerel, lemongrass, ginger, and vegetables. You can also try Curry laksa, Sarawak laksa, or Melaka’s nyonya laksa. 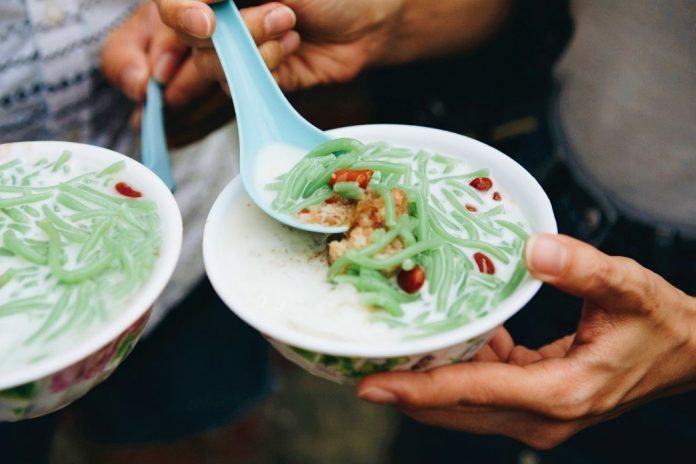 This delicious dessert from Melaka consists of a bowl of shaved ice topped with coconut milk, palm sugar syrup (known as gula), green jelly-like noodles made from mung bean flour and pandan leaf, and other condiments. Lok Lok literally means “dip dip,” and is another favourite Malaysian street food that is basically a range of semi-cooked meat and vegetable skewers that are dipped in steaming bowls of hot delicious broth. Originally a Cantonese dish from southern China and Hong Kong, Chee Cheong Fun is made with thick rice noodle rolls that are topped with a dark sweet shrimp sauce, chilli sauce, and stuffed vegetables. 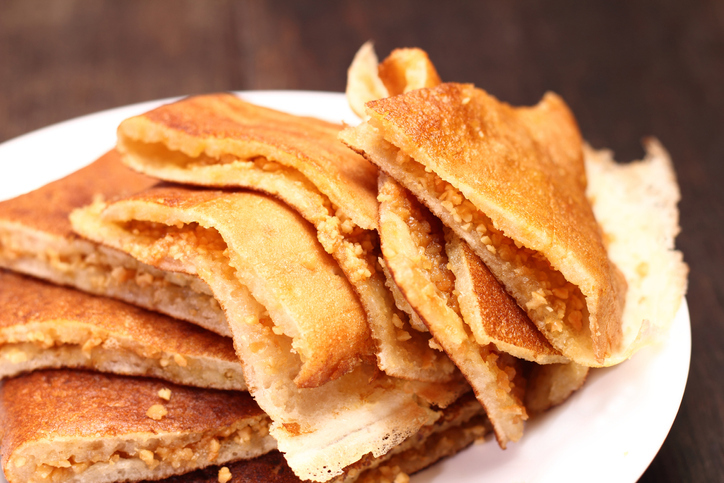 This delicious pancake is a popular Malaysian breakfast. It is both sweet and fluffy and is made with sticky rice and eggs and is filled with crushed peanuts, sweetcorn, or chocolate sauce. 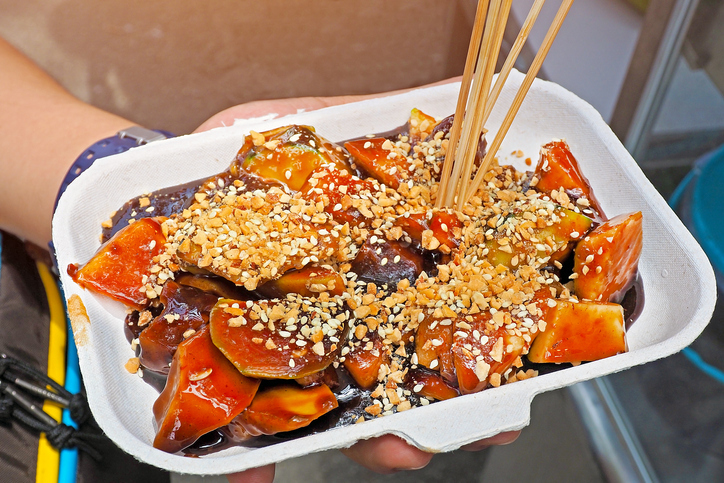 Rojak is a traditional dish that is said to be quintessentially Malaysian. It is a sweet and sour mix of fruits and vegetables in shrimp sauce, chilli, and lime juice garnished with crushed peanuts. A savoury variation is made with fried bean curds, cut vegetables, hard-boiled eggs, and fritters. 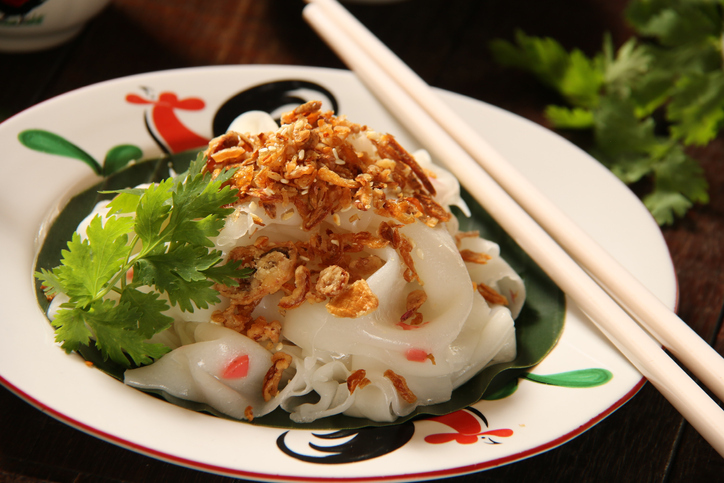 These stir-fry rice noodles are very popular in Malaysia. They are topped with prawns, bean sprouts, egg, slices of Chinese sausage, and spring onions, along with soy sauce and crispy pork lard. 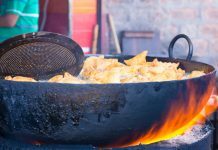 They are cooked in a wok at high flame, giving this dish a smoky flavour. 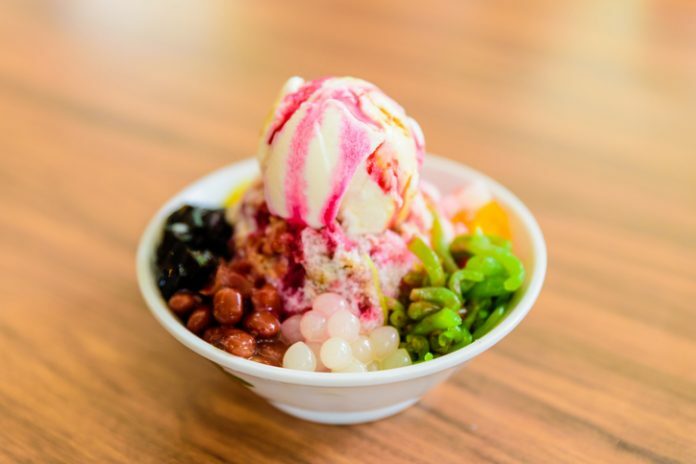 A popular Malaysian dessert, this consists of shaved ice, served with evaporated milk, and rose syrup as well as various toppings like cooked red beans, sweet corn, peanuts, and grass jelly. This delicious flatbread is a Malaysian street food staple. 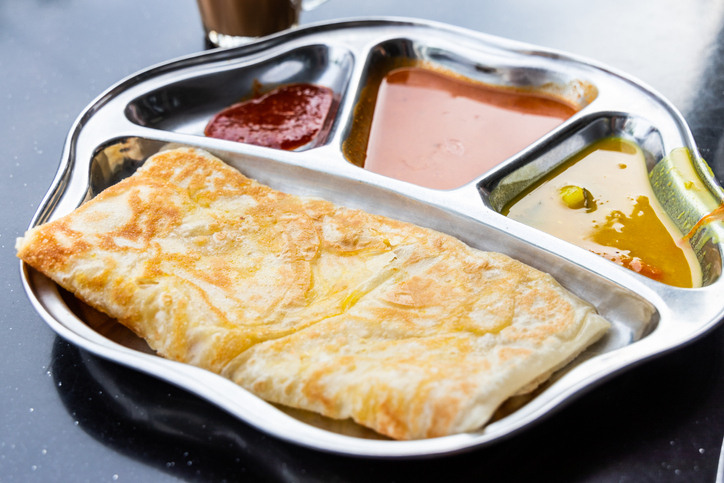 Originating in India, the roti canai is usually accompanied with a range of sweet or savoury curries, including dal (lentil curry), kari kambing (mutton curry) or kari ikan (fish curry). You can also ask for roti telur (roti with an egg), roti pisang (stuffed with banana slices) or roti kaya (with coconut jam). 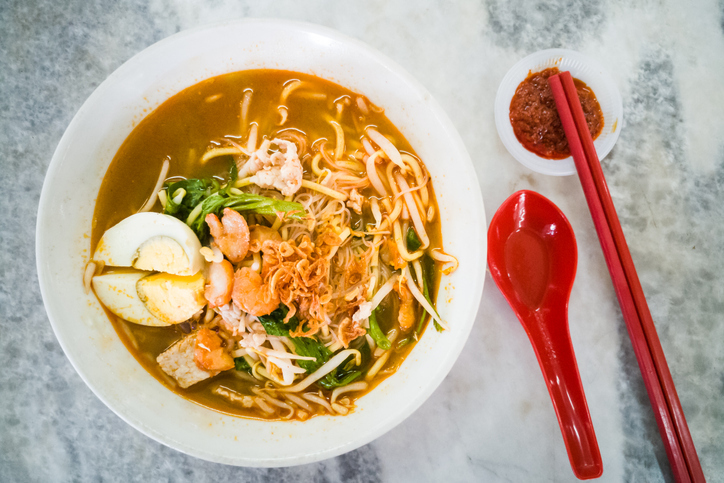 Hokkien Mee was brought to Malaysia by the Hokkien immigrants from China, and consists of egg noodles cooked in rich prawn broth served with pork chunks, squid, prawns, fish cakes, hard-boiled eggs, and bean sprouts. It can also be topped with spicy chilli sauce and lime. Kuih Muih are traditional Malaysian sweet snacks that are essentially layered cakes made with glutinous rice, grated coconut, pandan leaves, coconut cream, and palm sugar to create various sweets. 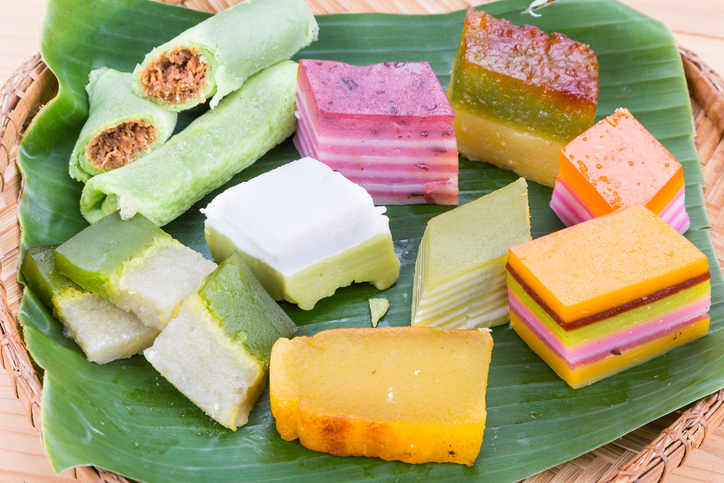 Try ondeh-ondeh (glutinous rice with palm sugar and grated coconut), seri muka (rice with coconut milk, sugar, and pandan leaves), or kuih pulut tai tai (blue coloured rice caked with butterfly pea flowers) with kaya (coconut jam). 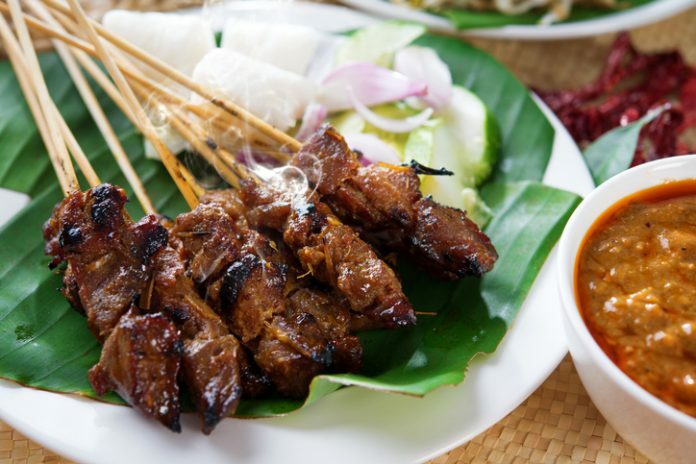 Satay is an immensely popular Malaysian street food which consists of seasoned meat skewered and cooked over a charcoal grill on a bamboo stick. The meat (which is usually chicken, mutton or beef) is then served with a sweet and spicy peanut sauce. This Malaysian dish comes from Kelantan. 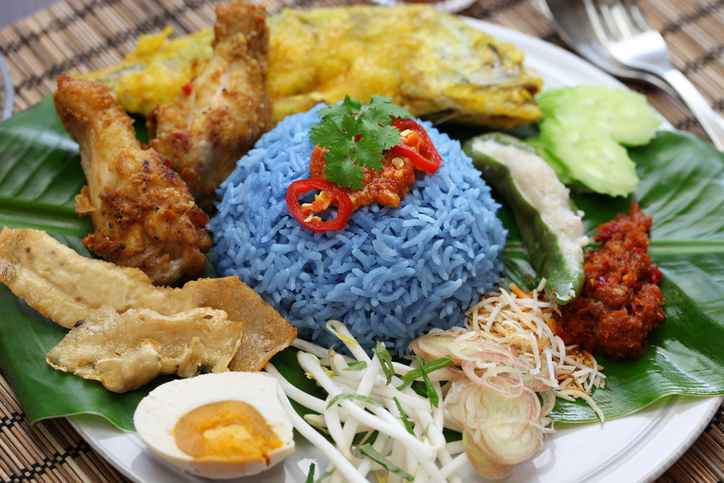 Also known as a rice salad, nasi kerabu is made with distinctive blue-coloured rice (which is cooked in butterfly pea flowers). This is served with fried chicken or fish, grated coconut, keropok (fish crackers), salted egg, vegetables, and a variety of savoury sauces such as sambal. 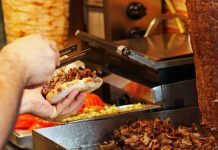 11 Mouth-Watering Turkish Street Foods That You Must Try!